An outgrowth of our environmentally sensitive farming practices and our experience growing native plants is our sister company FSF Conservation Contractors, LLC. Our hands-on experience has given us not only a sense of appreciation for nature, but also a pragmatic understanding of the importance of production. On our own farm we have tried both to protect the environment and achieve efficient agriculture. We have developed natural springs to supply water for our business and our livestock, built trails and alleys for equipment and livestock access, and planted trees to provide shade and wind breaks. Rather than fighting to improve areas with wet, clay soils so that they could be planted, we have added shallow water ponds and wetland plants to create habitat. Our stream buffers not only feature trees such as oaks, maples and cherry which shade the water, but also native grasses and wildflowers that attract wildlife. 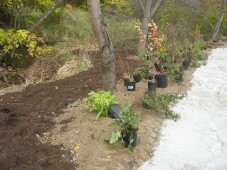 For our farm and native plant nursery it was a natural extension to offer installation of these practices to others. Typical projects we have completed include installing water systems, alleys and windbreaks for livestock rotational grazing, nature park construction with walking trails, natural ponds and landscaping, stream restoration and buffering with native trees and shrubs, and reforestation of hillsides on farms and mined areas. Erosion control seeding and matting, the establishment of wildlife habitat, food plots, wildflower meadows and wind or visual screening with tall grasses or woody vegetation are other examples. A special emphasis related to the oil and gas development in our area is environmental mitigation to enhance compliance and improve customer relations. We approach these services with the same commitment to quality workmanship and reliability that we would on our own farm. 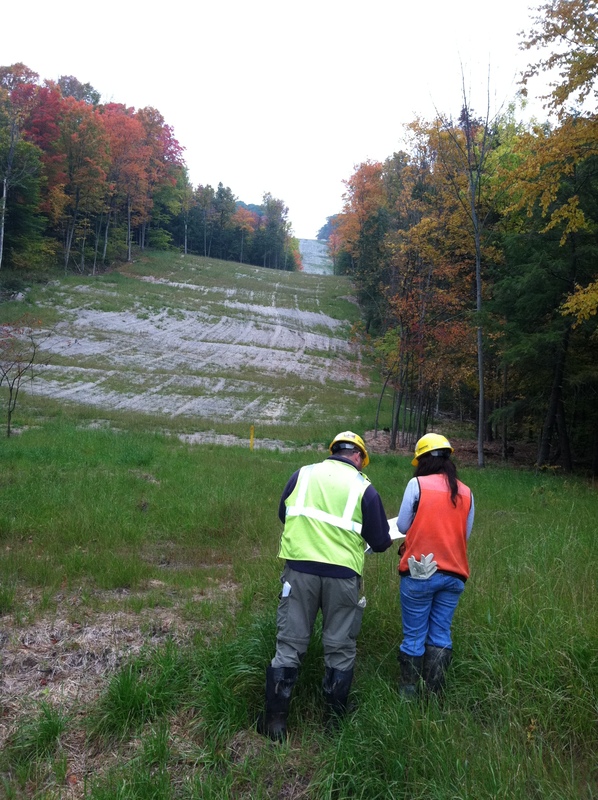 As the public becomes more aware of Marcellus and Utica shale development, there is increasing concern over the environmental effects of the development of this vast resource of gas. Our years of experience working with government agencies like PADEP, USDA, and County Conservation Districts allow us to keep abreast of the latest BMP requirements and help your operation maintain compliance. 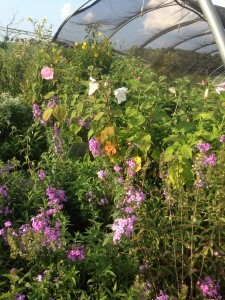 Wildflowers being grown in our native plant nursery. Native plants have increasingly become an invaluable resource in combating environmental concerns. These plants have developed over thousands of years to adapt and naturally mediate environmental disturbances similar to those brought about by gas development. Our years of experience both in growing them and utilizing them in conservation work will give your business a cutting edge tool to proactively address environmental issues. Native plants are often required on government funded and regulated projects. 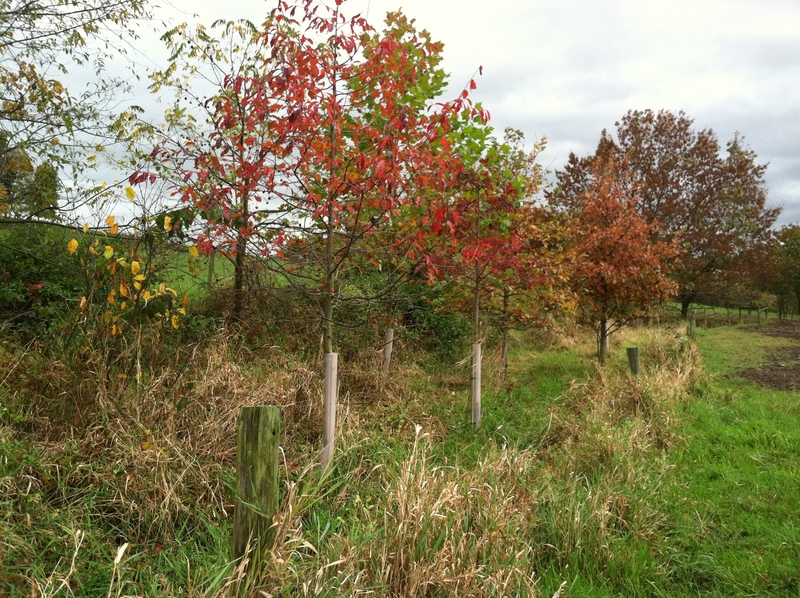 Maturing riparian buffer planted by FSF Conservation Contractors. 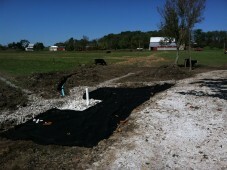 Finish grading and erosion control. Tree planting, reforestation, riparian buffer installation, habitat enhancement. Vegetative visual and sound screening for privacy and wind buffering. Nature park construction including ponds, trails and natural landscaping. Spring development and rotational grazing systems. 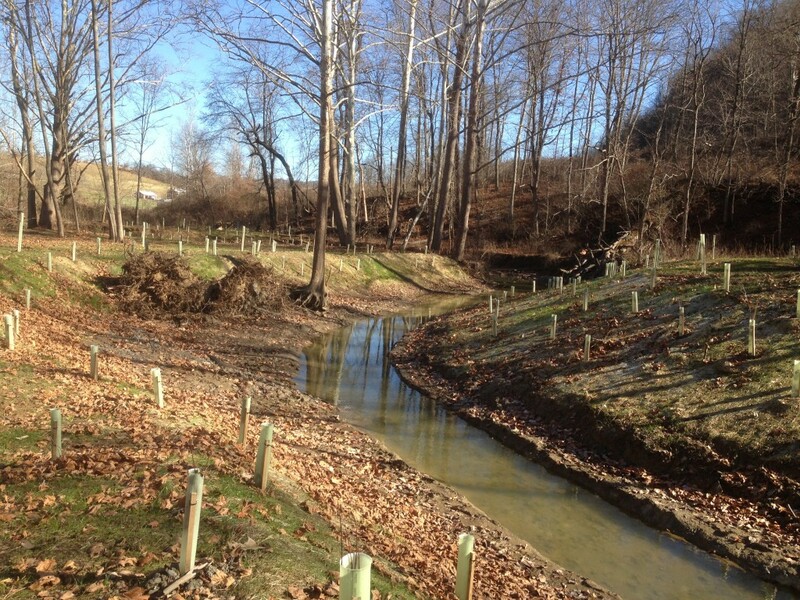 Riparian zone restoration at an industrial site in Westmoreland County, PA.
Tree planting/reforestation (funded by U.S.D.A. – CREP) Central and Western PA, and MD. Reforestation of battle fields at Gettysburg NMP. Wildflower meadow plantings and native habitat plantings at Winnie Palmer Nature Reserve, Latrobe, PA.
Butterfly Garden Plantings at Keystone State Park, New Alexandria, PA.
Coal mine/stream mitigation plantings, Greene County, PA. Stream mitigation plantings on natural gas pipeline ROW’s Potter, Tioga, Bradford Counties, PA.
Construction of miles of nature trails at Winnie Palmer Nature Reserve, Latrobe, PA.
Construction of stabilized agricultural alleyways, roadways and stream crossings for private landowners in W. PA.
Building a livestock water trough and stabilized alleyway in Mt. Pleasant Township, PA.